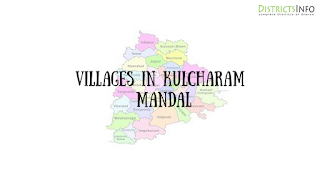 Kulcharam Mandal with new villages in Medak district: Kulcharam is a Mandal in Medak District of Telangana State. It belongs to Telangana region. It is located 45 KM towards North of District head quarters Sangareddi. 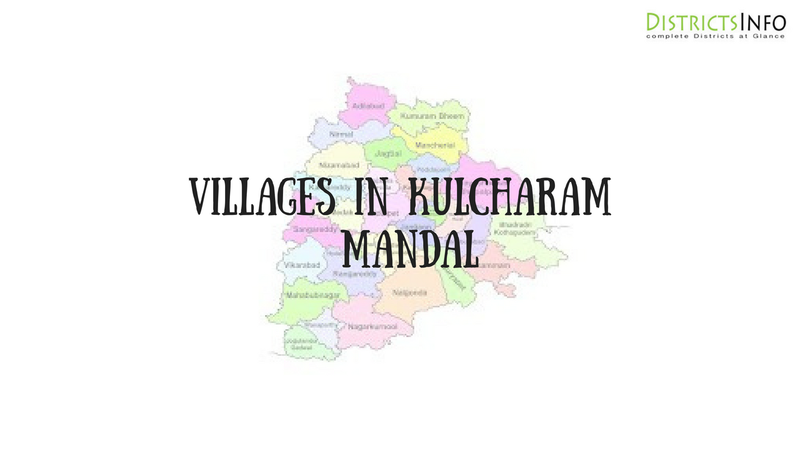 kulcharam mandal consists of 21 villages.we have listed here, Paithara, Konapur, Etigadda Mahmmadapur, Yenigandla, Rangampet, Thukkapur, Sangaipet, Variguntham, Serivariguntham, Kulcharam, Chinnaghanpur, Appajipally, Venkatapur, Pothamsettipally, Amsanpally, Nainjalalpur, Kongode, Kistapur, Rampur, Pothireddipally, Tummalapally.Also, check Kowdipally Mandal villages.